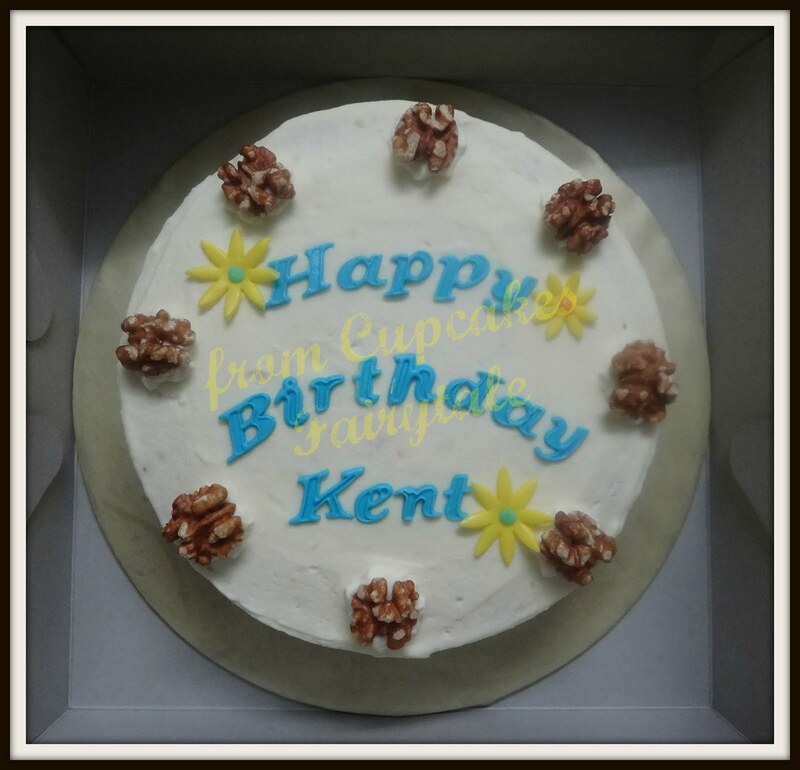 Joanne Liew ordered this 'Rich Carrot Walnut Cake with Cream Cheese filling and frosting' for her husband - KENT's birthday today. Note: This is in fact the second Carrot Walnut Cake I have made this month, the previous one was ordered by Tina Wong for her boss, but something slipped my mind, and I forgot to snap a picture of the cake before Tina collected it, hehe....apology Tina, but a big "thank you' for the support and order! HAPPY BIRTHDAY KENT, GOD BLESS!